HITRUST representatives and designers — including leaders from the healthcare, technology and information security industries — have worked to establish a CSF, which is a body of controls under which all healthcare organizations function. The certifiable framework, the HITRUST CSF,” can be used by any and all organizations that create, access, store or exchange personal health and financial information,” according to HITRUST’s official home page. 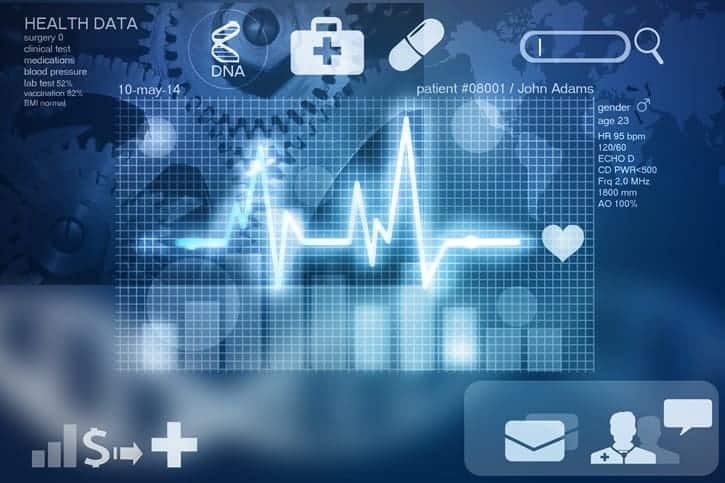 Information technology security leaders in the healthcare industry always need to search for ways, such as through regular performance of HITRUST assessments, to combat the relentless onslaught of destructive cyber-attacks and simply maintain control of regulated data. If you feel as if you and your IT team are constantly trying to keep up with — and, ideally, stay ahead of —the cyber-criminals, it is no surprise. While many data issues are due to accidental human error, Ponemon cites that “in 2016, ransomware, malware, and denial-of-service (DOS) attacks are the top cyber threats facing healthcare organizations.” Regardless of the reasons for data inconsistencies and breaches, it is important to catch them as early as possible to minimize or, better yet, completely avoid negative ramifications. By committing to performing regular HITRUST assessments and obtaining HITRUST certification, you can prove to your business associations and healthcare organizations — and by extension, healthcare patients — that your organization meets the high security standards set forth by the CSF to maintain security while freely exchanging regulated data for the purpose of improving care for patients. What Goes into a HITRUST Assessment? A HITRUST assessment reveals that you and your IT team have learned, applied and consistently maintain all the controls prescribed by the CSF — and that everyone in your organization adheres to practices that help you stay compliant — so it is important that you make CSF controls and standards a routine part of your maintenance practice. How Can You Prepare for a Successful HITRUST Assessment? Whether you are planning your organization’s first HITRUST assessment, or you simply want to make sure each one improves over the next, it might help you to add a few of the following five tips to the process. Seek Support from the Top Brass. Explain the importance of the HITRUST CSF assessment to your company’s executives, reiterating the value of reassurance to third-parties and patients, to ensure you receive the cooperation and support you need. Whether you need extra financial resources, supplies, or additional staffing, reach out to make sure you have it to protect regulated data and to maintain a high level of respect in the healthcare industry. Open the Lines of Communication with Everyone on Staff. From executives to each staff member who works with data, you need to make sure everyone understands and complies with the CSF at all times. The more everyone understands the importance of HITRUST CSF and follows the rules, the fewer issues you are likely to find during an official assessment. Define the Scope of the Project. Identify the scope of the assessment by identifying stakeholders and businesses involved. Additionally, note businesses with higher risk profiles to ensure closer inspection. Gather and Review Supporting Documentation. Gather notes that acknowledge full compliance with CSF standards, as well as notations that include failure to adhere to CSF standards and other known issues as you begin the HITRUST assessment process. This documentation can serve as a questionnaire during the assessment to reveal patterns that you and your staff can explore further to make improvements, regardless of the outcome of the audit. Most importantly, this phase ensures that you face few surprises, if any, during the official HITRUST assessment. Perform System Tests. To ensure that you and your team have complied with CSF system controls, perform system tests. Uncover any breaches or accidental employee errors as early as possible to go into the test fully aware of issues, as well as having made any possible corrections in advance. I.S. Partners, LLC. understands the value that stakeholders place on data safeguards. The assessment team also understands that a CIO’s work is never done. If you and your dedicated IT team can use extra help the next time you need to renew your HITRUST CSF certification, we can help. Call us today at 215-675-1400 or contact us online. We can discuss your company’s previous HITRUST assessment results and how you hope to maintain high standards while protecting stakeholders and sharing invaluable data with fellow healthcare providers.